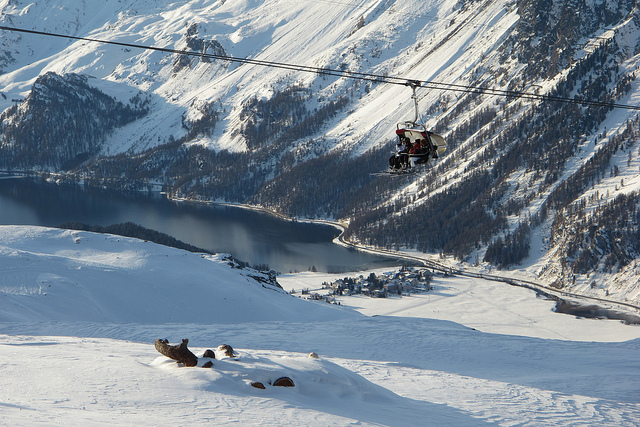 orvatsch is served by a cable car from Surlej, near Silvaplana and only a few minutes by bus or car from St Moritz. 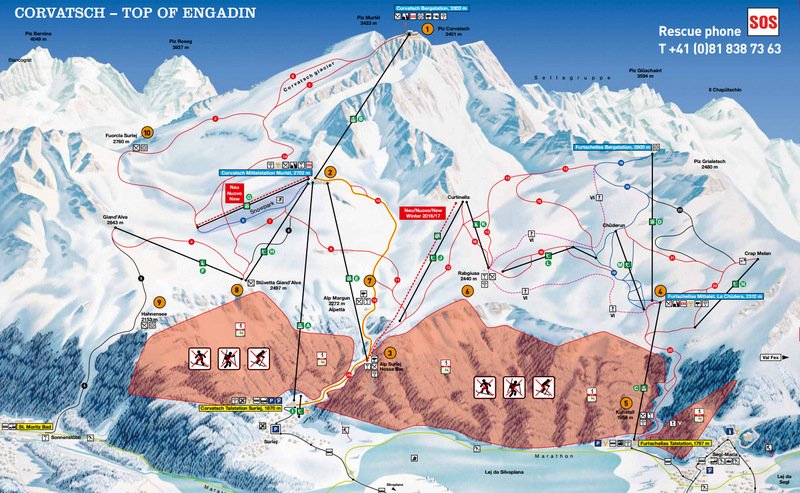 It gives access to the highest slope in the Eastern Alps, and some spectacular runs over the Engadine valley. It also connects to the Furtschellas slopes, served by cable car from just outside Sils (Segl). There is also a black run back down to St Moritz Bad off Corvatsch. As well as the regular bus services in the valley, which are covered by the ski pass and service the base stations, courtesy buses also run from Silvaplana and Sils to the base stations. Ski school starts from the nursery slopes near the cable car station in Surlej. The road distance from Zurich is around 205 km and the journey time is roughly 2 hrs 37 mins. The road distance from Basel is around 290 km and the journey time is roughly 3 hrs 28 mins. The road distance from Berne is around 330 km and the journey time is roughly 3 hrs 53 mins. The road distance from Geneva is around 483 km and the journey time is roughly 5 hrs 23 mins.